Our Starter Knives have been chosen as an affordable introduction into the world of Japanese Knives. They are the traditional knives found in every Japanese home and have been made in much the same way for centuries. Largely constructed of Carbon Steel they are able to attain an incredibly sharp edge but they do (like every knife) require a degree of care. Saying this, Carbon steel is nothing to be afraid of. If the knife is simply wiped after every use and not left in water for a prolonged time they should not discolour significantly. 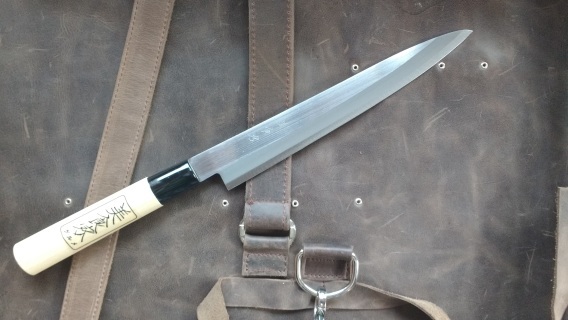 The sort of light weight traditional Japanese utility knife found in every Japanese home. Don't be fooled by he price, these are extremely sharp and well made. If looked after correctly they will happily serve you for a lifetime! 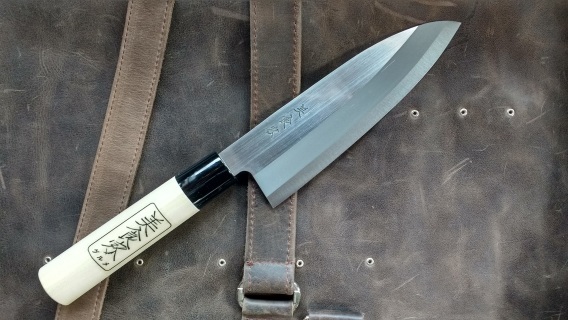 All knives use to be made of Carbon steel until the arrival of stainless and some Chefs still prefer Carbon Steel for it's unrivalled sharpness. The edge may not last quite as long as high quality Stanless such as VG10 but the edge can actually be made even sharper! The sort of light weight traditional Japanese knife found in every Japanese home. 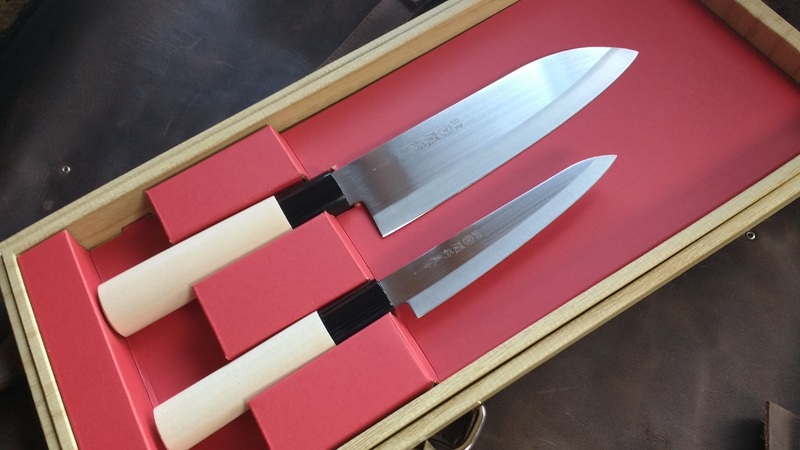 ​Perfect for slicing fish but equally suiatble for meat. Now in a set. A santoku for utility jobs and Nakiri chopping Veg. YAXELL are a world class knife producer well known by professional Chefs. 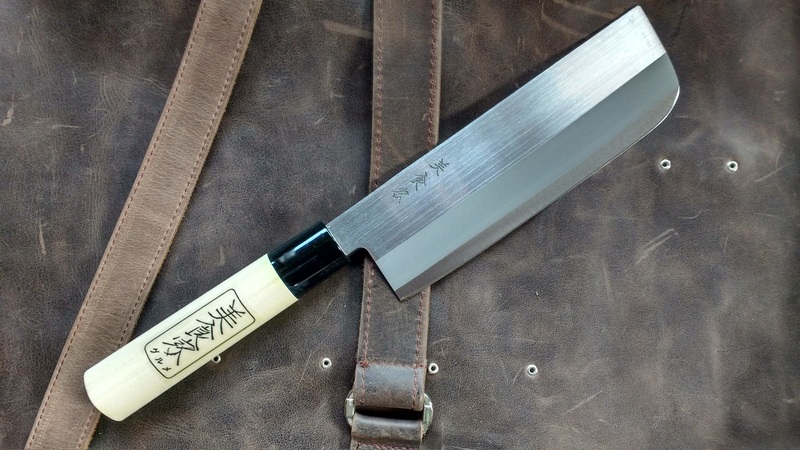 Based in Seki Japan they have been pioneering in mixing Traditional methods of Knife forging with modern Techniques. 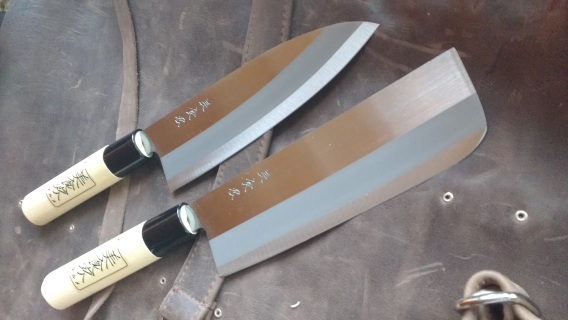 Here we have a starter set of the two most widely used knives throughout Japan.